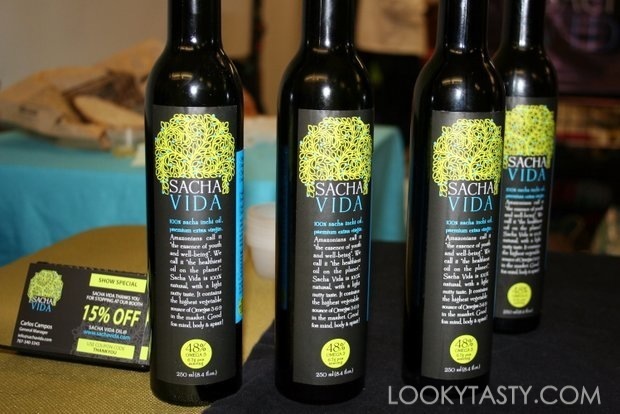 Sacha Vida is best known for their premium extra virgin Sacha Inchi Oil and their Sacha Inchi Seeds, which is available naturally roasted, roasted and salted, or covered with organic chocolate. Sacha inchi is one of these healing plants that produce star-shaped green fruits, which yield edible seeds. Natives living in the Peruvian Amazon have consumed the leaves of the plant, the seeds, and their oil for hundreds of years. The seeds of Sacha Inchi are a rich source of digestible protein (approximately 25-30%) and contain a high amount of healthy fatty acids (Omega 3, 6 & 9). The seeds also contain natural antioxidants like Vitamin A & E (carotene & tocopherols), Calcium, Zinc, Potassium, Fiber and are a great source of tryptophan, an amino acid that can help promote a positive mood. Sacha inchi oil has a light fresh aroma and a nutty earthy taste to it, that is great drizzled over salad or enjoyed with bread. 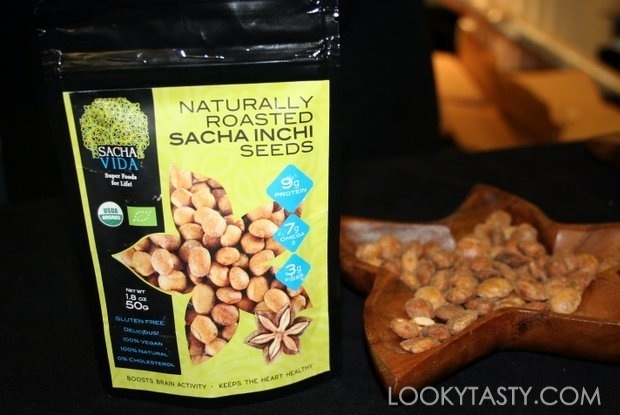 The sacha inchi seeds are perfect additions to salads as well as nutritious snacks by itself. The organic dark chocolate, made with 55% Peruvian cacao, complements the earthy taste of the seeds very well and makes a delicious snack. 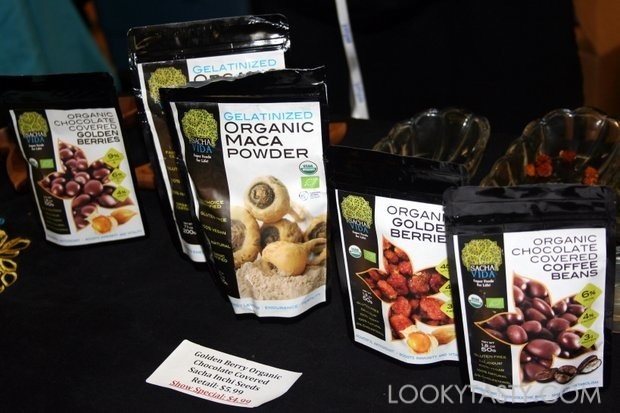 At the NYC Vegetarian Food Festival last month, I was introduced to new products they have recently began to offer – Maca powder and Golden berries. Maca powder is a Peruvian superfood that is known to have many healthy and nutritious benefits. In addition to being a good source of amino acids, natural minerals, and vitamins, it also a natural energy and stamina booster and is a wonderful addition to breakfast smoothies and blended beverages. Golden berries are another nutritious superfood, high in antioxidants and have anti-inflammatory properties. They have a sweet and tart flavor. Add them to your favorite trail mix, or use as a topping for your oatmeal, yogurt, salad, or dessert. They are also available chocolate covered. Sacha Vida also offers Chocolate covered coffee beans featuring premium Arabica coffee beans grown in Peru. 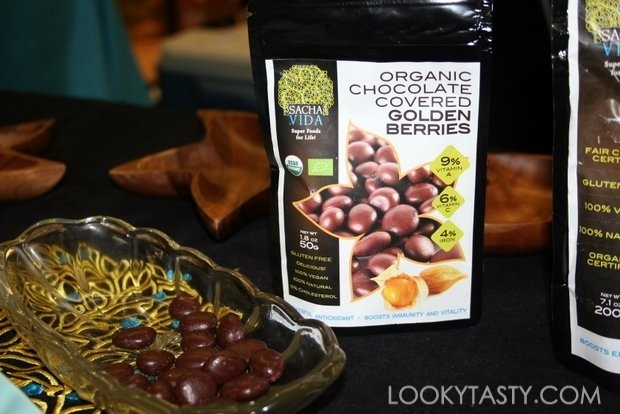 The coffee beans are roasted and covered with organic dark chocolate. Coffee and dark chocolate go together so well, in taste and nutrition profile (both good sources of antioxidants), making it a delicious and energizing snack. Connect with Sacha Vida on Facebook. All their products are made with ingredients that are certified organic, gluten-free and vegan with no added sugars or preservatives. Their products are available at ForAnima.com as well as other select online retailers.